For quite some time I have been meaning to read Daniel Defoe's Robinson Crusoe but I often find myself more tempted by an author's less famous work over the well-known one (mostly because I enjoy saving the best for last). It's also why I tend to recommend others to read Looking For Alaska before The Fault In Our Stars if they want to read multiple of John's books. 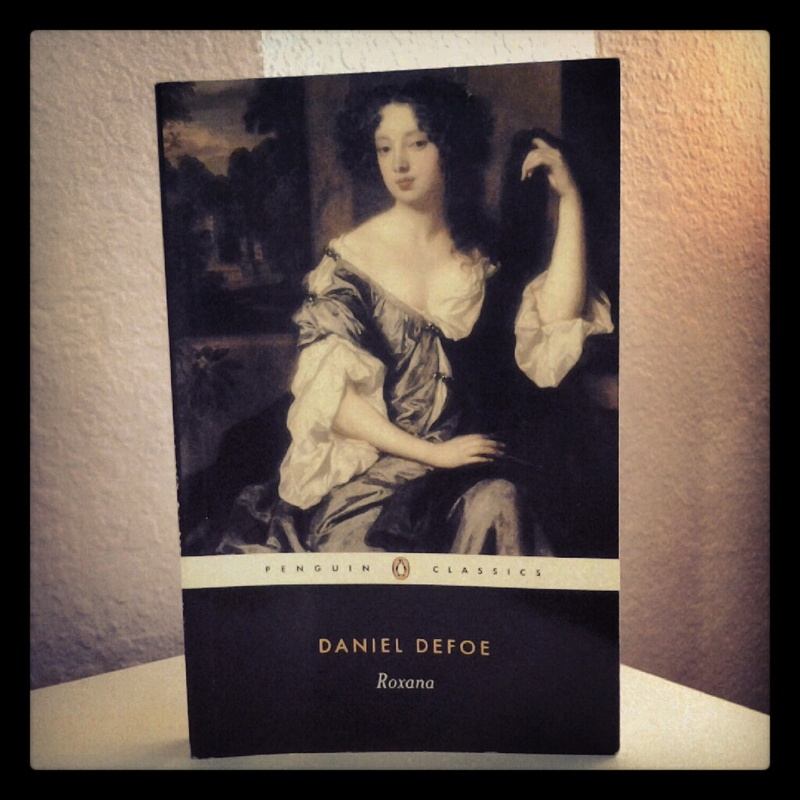 So, to get to the point I was trying to make, I chose to read Roxana as a way to introduce myself to Defoe. "Beautiful, proud Roxana is terrified of being poor. When her foolish husband leaves her penniless with five children, she must choose between being a virtuous beggar or a rich whore. Embarking on a career as a courtesan and kept woman, the glamour of her new existence soon becomes too enticing and Roxana passes from man to man in order to maintain her lavish society parties, luxurious clothes and amassed wealth. But this life comes at a cost, and she is fatally torn between the sinful prosperity she has become used to and the respectability she craves." My favorite part of Roxana is potentially the language and style. Roxana was my first taste of Defoe and I found his language to be very unique, and it wasn't just the random capitalization. As far as the narrative within Roxana goes, I wasn't entirely fascinated by it. I did not like the protagonist much, even though I managed to by sympathetic towards the beginning, even that faded quickly. The last quarter/fifth of the book (the section that is also arguably an addition that Defoe didn't initially intend as a part of his novel) is probably the part that I enjoyed the most. It had my heart racing and it was difficult for me to put it down. After Roxana, do I still have desires to read Robinson Crusoe? Definitely. I am excited to see what other stories Defoe can create with his language. For his lack of knowledge in finances, he makes up for in literature. Would I reread this book? Probably. Just not anytime soon. "So possible it is for us to roll ourselves up in Wickedness, till we grow invulnerable by Conscience; and that Centinel once doz'd, sleeps fast, not to be awaken'd while the Tide of Pleasure continues to flow, or till something dark and dreadful brings us to ourselves again." OPI "Every Month Is Oktoberfest"